How part-day fasting can help you lose weight and feel great. Jaime Rose Chambers is an accredited practising dietitian and nutritionist. She has a Bachelor of Nutrition & Dietetics from the University of Newcastle and is completing a Masters of Clinical Medicine for complementary therapies. She sees patients with a wide range of health conditions, including diabetes, obesity, food allergies and intolerances, polycystic ovarian syndrome and cancer. 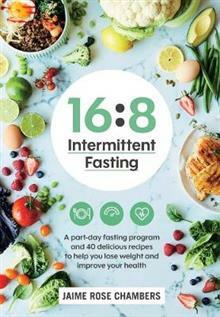 Jaime is a well-respected voice in diet and nutrition, and has made appearances on Today Tonight and A Current Affair, as well as being a frequent contributor to publications such as The Australian Women's Weekly, Cleo and Cosmopolitan. She also speaks regularly on the importance of nutrition at corporate seminars and cancer support groups.